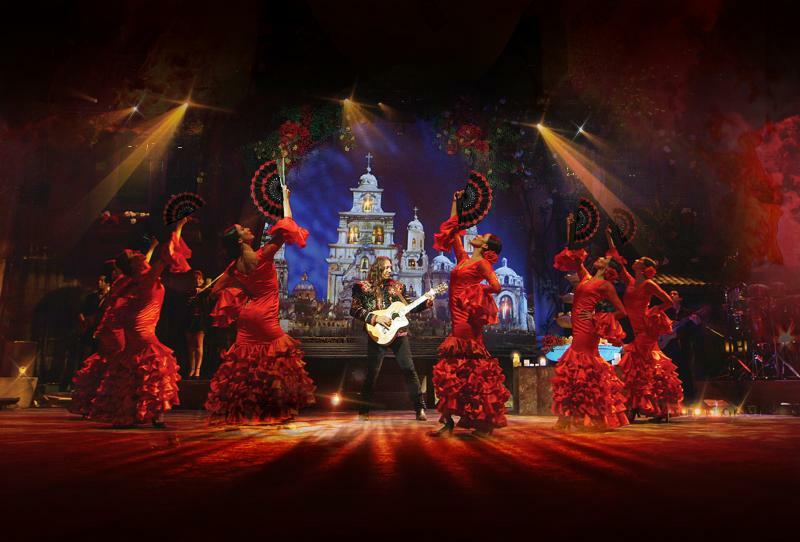 BENISE, “The Prince of Spanish Guitar,” will take his celebration of cultures from around the world on the road this fall and into 2019 with his 60-city “BENISE: FUEGO! SPIRIT OF SPAIN” global tour kicking off September 21 in Anaheim, CA. He’ll follow these performances with shows in China in October and November, before a week of European dates in late November. 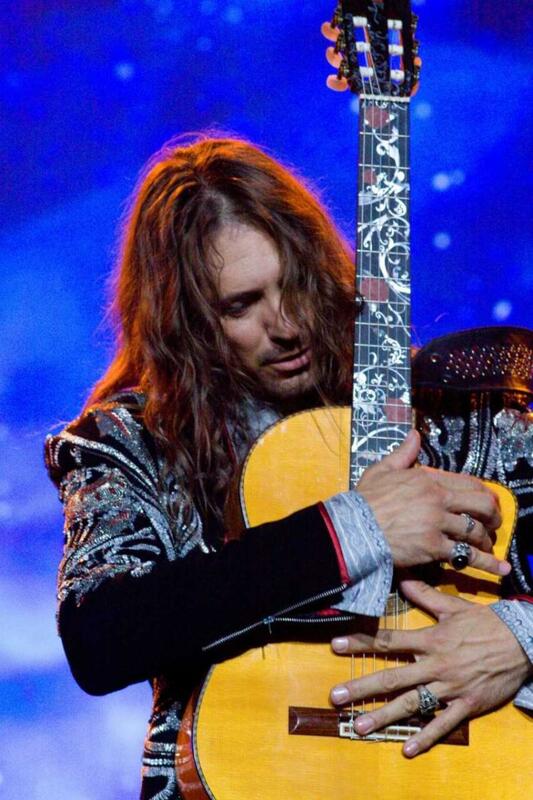 From the age of eleven (when he received his first guitar), BENISE practiced relentlessly, teaching himself to play and ultimately mastering a variety of different styles that would eventually become his own unique sound. Though unable to read a single note of music, he began composing original works with powerful emotional arrangements that areboth wild and refined, producing a sound that is as edgy and exotic as it is romantic and sensual. Leaving his family and friends in the Midwest to move 1500 hundred miles to Los Angeles with nothing more than his guitar, BENISE held in his heart the encouragement from his parents to “work hard and have faith.” After being turned down by almost every club in Los Angeles, BENISE started performing on the streets (Third Street Promenade, Universal Citywalk, Downtown Disney, Farmer’s Markets and Hollywood & Highland, among them). It was not uncommon for BENISE to put on more than 200 shows a year, sometimes playing two or three events in a single day. Tourists from around the world and native Angelenos alike took to BENISE like the “Pied Piper” of Spanish guitar. From there, the path of his music took on a life of its own, effortlessly opening doors along the way to attract musicians, dancers and cirque performers, eventually creating the extended family that is now known simply as his namesake, “BENISE.” A natural-born performer, BENISE held audiences captive with exotic drums, Gypsy violin, Flamenco dancers, Cirque performers, Brazilian Samba dancers and percussionists, African tribal drummers, Havana horns, and brilliant theatrical lighting to create and unforgettable experience. As his audience grew, BENISE began promoting his own concerts, selling out 2,000 seat theaters throughout Southern California. In addition to organizing these live shows, he took his career by the reins by producing, arranging and releasing 13 albums on his own independent record label (Spanish Guitar Entertainment), plus 5 DVDs. The recordings capture the expressive Spanish guitar arrangements that stem from influences around the world, carrying listeners to such culturally rich destinations as Spain, Africa, Brazil, the Mediterranean, Cuba, India and Egypt. Combining the Cultures of the World through Music and Dance! This entry was posted in Benise, Press Releases. Bookmark the permalink.